If you read my post here, then you know that I am trying 3 DIY Cleaners this month: Orange Infused Vinegar, DIY Laundry Detergent and DIY Dishwasher Rinse. Today I took the plunge and made my first batch of laundry detergent. I also substituted the white Zote soap for the pink because we are not big on fragrance. Step 1- Grate the soap. Seems simple enough–unwrap the soap and grate it using a cheese grater. I stopped half way through the first bar to take a photo and then remembered that I was supposed to be using the fine side of the grater–oops! Once I finished the first bar of soap I had so much of a build-up on the grater that it was no longer grating the soap. I stopped and used a butter knife to scrape off what I could, but I had to stop every couple of minutes and scrape again. Being the impatient person that I am, I went back to using the large side of the grater. I decided it would be quicker to cut the curls of soap with scissors than to mess with cleaning the fine side of the grater. One of the reasons I have put off making the soap is that I didn’t have a large container to mix it in. Then I remembered that you can get used 5 gallon icing buckets from the bakery departments of some stores. I asked at my Walmart today and they were happy to oblige. I washed the bucket with hot water and dish soap, bleached it for good measure and dried it thoroughly. I decided to add my “dry” ingredients first (everything but the Zote). I placed it all in the bucket, put the lid on tightly and then shook it vigorously several times. I then added the grated Zote and stirred it with a large spoon. I definitely advise mixing this outdoors or in a very well ventilated area. The powdered ingredients tended to “smoke” when stirred which caused me to have a slight breathing problem. Step 3-Pour detergent into a storage container. Another reason I had hesitated to make the detergent was that I didn’t have a good container to store it in. When I cleaned my hall closet this week, I found this cheese ball container that works perfectly. All of the detergent I made fit into the container and it has an easy to use snap-on lid. I grabbed an extra measuring spoon from the kitchen and I’m ready to go! The price is fairly good. Using 2 tablespoons per load for 7 loads per week should mean that this detergent will last at least a couple of months. I don’t buy expensive detergent anyway, so I spend about $3.00 per month right now. If this detergent lasts 3 months I will break even. If that’s the case, I won’t bother making it again. Other than the few frustrating minutes of grating the Zote soap, the detergent was very easy to make. I washed my first load this afternoon using 2 tablespoons of the detergent in a large load. The clothes that I washed came out smelling clean with a slight scent of soap. 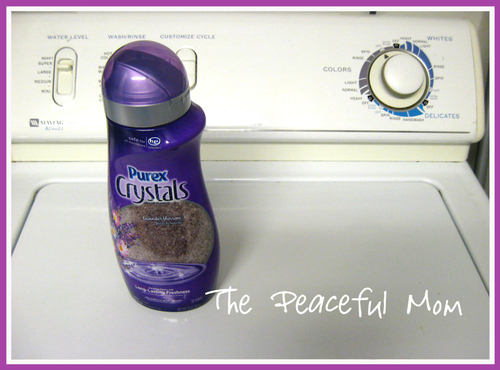 If you want more of a fragrance you can try this recipe which adds Purex fabric softener beads. UPDATE: After using the detergent for a couple of weeks I decided to add the Purex Fabric Softener Beads for a little bit more fragrance. The cost of the beads was $4.76 so my total cost for the detergent is now $14.36. It looks like it will last us at least 3 months because it has been almost a month and we have hardly made a dent in it. I’ll keep you updated when we finally finish it. UPDATE #2: I am going back to store bought detergent for now and will possibly try a different recipe later. I think the Zote soap is the problem. Read more here. Have you made any DIY laundry detergent? What was your experience? Share any tips or recipes in the comments. Previous Post: « sneakpeeq: FREE Silk Scarf for New Members! Hi Graham – I cannot give you an “official” answer, but I personally would not use the grater for food. Fels-Naptha is a known irritant to skin and has several ingredients which would probably be dangerous to ingest. I would invest the little bit of money to purchase a new grater. Thank you for your answer! I will not use it for food. I had a full blown athmatic reaction to pink Zote. In using it I found I’m deathly allergic to citronella. I’ve never seen white Zote but could you tell me the ingredients? Does it have scents? I researched the ingredients online and it looks like Zote Soap is made with coconut oil and tallow, and it contains sodium chloride, glycerin, perfume (citronella oil), an optical brightener and dye. It appears that the ingredients are the same for all three colors (pink, blue and white). Here is how I’ve been making mine for about 3 years. Ive never had a problem with th emachine, or it dissolving. I use warm or hot water, using 2 tablespoons powder or 4 tablespoons for stinky, dirty loads. As for me, I love the pink Zote smell. I grate a large bar, let it set spread on a newspaper several days. It will get dry and crumbly. I mix it with 2 cups each borax and washing soda. Then taking small amounts at a time, I blend it in my Magic Bullet. It will pulverize it to a baby powder like consistency — very fine. Be careful opening the top because it will puff out and you shouldn’t breathe it. I do mine outside. I also add a scoop of oxy clean in the towels, socks, kitchen towel loads. If I want a scent, I use a little of those scent crystals. But the basic formula is the Zote, borax, washing soda. I’ve put this in pretty containers with a 2 tablespoon coffee scoop, ribbon or bow, and given as Christmas gifts. It’s not only great cleaning powder, but very economical. I’ve used the white Zote, and the Fels, and they work fine, but I don’t like the Fels smell. It’s just a matter of personal preference. No one likes the same things. Ive been very pleased with this, and its fun making it! I wont go back to buying detergents. Thanks so much for these tips Nancy, especially the idea to use the Magic Bullet. This is VERY helpful Susan! Thanks so much for taking the time to share these instructions. You may have just motivated me to try again! 1. Liquid is dramatically cheaper to make than powder. 2. You need whatever is in store bought detergent to keep clothes from getting dingy. 3. Zote does not work!! 4. I don’t want to store 5 gallons of liquid llaundry detergent. 5 I need my kids clothes to get clean so I need extra stain fighters. Grate the soap and add to water on the stove. Stir till soap is melted. Add borax, washing soda and purex 2. Continue until its all mixed and there is no grittiness. I use my old one gallon laundry detergent bottle. Add soap mixture to bottle. Add store bought detergent then add the rest of the water and shake. I found Yardley melts better. Purex 2 is a color safe bleach sold for $1.98 at Walmart. I use Extra lavender and sweet vanilla laundry detergent for my store bought. I’ve had no more issues after 6 months of using this recipe. I use a capful and get about 40 loads for a little over a dollar. Can’t beat it!! Sorry it was so long. Hope it helped!! Yes. I have a HE machine and it works great! he trick I found that works for the Zote is to bake it til it bubbles then grind it when it cools in the food processor. That is if I use the Zote straight from the store. I normally have a few bars in my cleaning cabinet that are a year or more old. Letting them sit in the cabinet allows them to cure longer and they are drier. At that point I can cut the bar up and not even need the food processor as they crumble as you cut. I have seen blogs where they recommend nuking the Zote in the microwave. I don’t like this because it burns easier than the oven. I grate my Fels Napth in the food processor with the baking soda so it won’t stick. I first use the cheese grater then switch to the bottom blade to fine it up. Works great! That is a terrific idea to add the baking soda Sheila. Thanks! I have used the Fels Naptha and the Zote. I LOVE the Fels Naptha the best. Not impressed with the Zote. I found if I microwave my bar soap for 30 sec. it is a lot easier to grate. Love home laundry soap! Can you use this on HE washers? I would love to make it to save money but I need special detergent because I have an HE washer. I love the Fels Naptha soap. That is my greatest stain fighting discovery. Takes a like time sometimes, but if it can get grass stains out of white baseball pants, its worth it. I keep a bar in a ziploc bag under my bathroom sink with a cheap nail brush I bought at the dollar tree. I wet the bar, scrub off some soap with the brush, then rub it into the stain. Throw it in the washing machine, and done! I have not made the dry version of the laundry detergent, but I love the liquid version with the Fels Naptha, Washing Soda, and Borax. The only problem I have is the smell while melting. I’m going to try to pick up an electric eye at a thrift store or yard sale and fix it outside next time. We have lots of sensitivities in our house hold (ex: son allergic to Tide) and everyone was okay with the soap. I use the dry version but instead of Zote, I use Fels-Naptha bars. I found that if I unwrap the bars and let them “dry out”, it grates MUCH better. As soon as I make one batch, I start the “dry out” process, works wonders!!! My husband, who helps with the laundry, wasn’t too sure that 2 tsp. could actually get the clothes clean. After using this for a while, he’s now convinced! My “recipe” — 2 bars of Fels-Naptha (grated), 2 cups washing soda, 2 cups 20 Mule Team Borax—mix well & store in air tight container. I use this recipe. 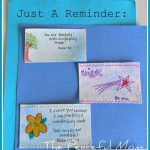 Drying the Fels Naptha helps a lot. I put mine in the blender. Here’s a tip for the soap grating: don’t. I sat in front of the TV and used one of my vegetable peelers to just make strips of the soap and it wasn’t all that bad. That was for the cooked version I tried at first. Then I tried a soapless non-cooked version and don’t care for it that much. Next time I’m going back to soap but the dry version, and after “peeling” the soap I’ll mix all the ingredients in my food processor which ought to take care of the slightly larger chunks of soap. I quit making that detergent for the same reason…I hate grating that soap…and it left a build up that I didn’t care for. I like to use Dawn – not the foaming kind (well…I use the off brand of Dawn) and water. 1 cup Dawn to 7 cups of water. It’s a lot less hassle and cheaper as well. What is the non-foaming kind of Dawn? I haven’t seen that specified on the bottles. I use zote flakes they come already shredded! I also use the versions that uses water. Makes a more consistent soap. Thanks Angela–I had not heard about Zote flakes. I am new to your sight and enjoy all of your tips/advice. I have been making my own powdered laundry detergent for some time now, but was very hesitant to start because grating a bar of soap sounded like a chore. After some research online about DIY laundry detergent, I found a GEM!! If you use Ivory soap, you can toss a bar in the microwave (in a large glass bowl) and zap it for 90 seconds (I have an older/less powerful microwave and have to zap for a full 2 min.). It puffs up like a cloud–quite the fun experiment for kids. The air in the soap expands as it heats. When you’re finished, let it cool and crumble with your hands. It makes a fine powder….better than grated soap. The only hitch I’ve found is that it ‘smokes’ like the other 2 ingredients (borax and washing soda). I found putting the bowl & soap cloud in a plastic shopping bag while I work helps cut down on the ‘smoke’ factor. Then I mix that with 1 cup each of the borax and washing soda. Viola! 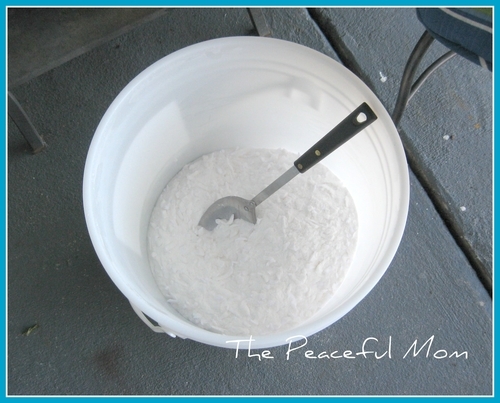 Easy and fabulous laundry detergent! Thanks Kara. I have never heard of the microwave trick. I always use my food processor to grate the soap. Works wonders! I had used the Duggar recipe, my whites got dingy and I had issues with cloth diapers so I went back to store bought. Now I am using a powder recipe with oxyclean and it ROCKS! It has gotten every single nasty spot and stain off of our clothes. I have been using the liquid version of home made laundry detergent. Very easy. Works very well. No soap to grate – YUK! Found the directions on Pinterest, but don’t remember the exact location. 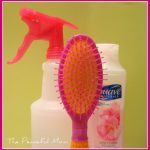 I am loving all the DIY home cleaners and products. Have been giving the DIY baby wipes as baby gifts. Everyone loves them especially. So many cost cutting directions to try. 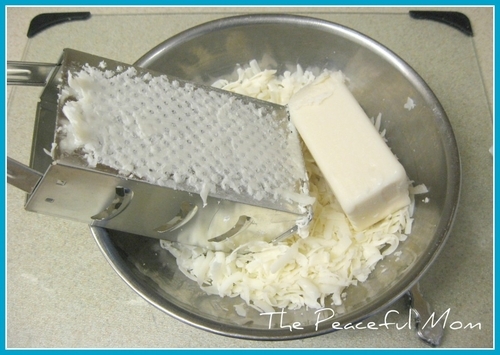 What I do is when I purchase my soap I let the cake dry out for a week or two, then it is much easier to grate. Here is my recipe, I have been using it for well over a year now and also make it for family members who also love it. 2 cups borax, 2 cups washing soda, 1 cake of soap grated, 1 cup of oxyclean, 10 drops of essential oil (optional). When I have grated the soap and mixed the other ingredients I put it through a blender in 2 cup lots. This makes the powder fine and keeps it from separating. *wash your blender well after or keep an old one just for this purpose. I have a large washing machine and have only ever used 1 tablespoon per load. Sometimes I mix with hot water before putting in machine but usually not. I have found that my clothes are soft, ironing is rarely needed and clothing is keeping shape and lasting much longer than normal. Would not go back to using comercial powders anymore. As mentioned above, you don’t have to hand grate the fels naptha soap. I used not my blender but my large electric chopper. Just sliced the bars, and added my grating device. then after I had added the soap to the pot; I used the same container to add the water and get out all the excess soap pieces. 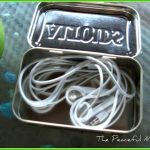 easy peesy!…The whole recipe took about 5 minutes to make!…I used just the 3 ingredients; Fels Naptha (or zote) Soda Wash, and Borax. I use the liquid version of the recipe and having been using it for over a year. A 5 gallon batch lasts about 6 months for our family of 5. It works really well, can’t tell any difference over the expensive $15-20 name brand. I fouund out a little trick. If you use the Fels-Naptha soap you can chop it with a knife (it cuts real easily), put it in a cup or bowl and add just enough water to cover it. Let is soak overnight. When you get ready to disolve your soap in the saucepan with water, it dissolves really quickly. No grating involved. Yea! That is a superb tip!! Thanks for sharing!! I made the Duggar family (20 kids and counting) recipe, and it can’t be beat! Grate the soap and then melt it in a sauce pan with water, pour into 5 gallon bucket then fill with HOT water, add 1st 2 ingredients mix and then let sit overnight. This will gel, mix it around and pour into countainers. This was the only difficult part, pouring thick gel into a funnel! But other than that I loveit. I have an HE washer and use about 1/4 cup, depending on how dirty the clothes are. Initial cost for this was about $8 but I have anough of the powder ingredients to make 4 more loads, and then will only have to but the .97$ bar of soap. So if you use do the math, 1/4 per load gets you 140+ loads for 3$, can’t beat that!! in our HD machine. The clothes do not have a strong smell, but they do get clean using 2 scoops. They never smell sour. I have been using this formula for over a year. I’ve been hesitant to make my own laundry detergent. I have sensitive skin and currently use “All free and clear.” I purchase it only when there is a really good sale and I have a coupon. I get it for $1.50 -$1.99 for 32 loads. My husband doesn’t have sensitive skin so I can purchase even cheaper laundry detergent for him. Thanks for sharing your experience with making your own laundry detergent. I know people who swear by it! I have been making my own laundry detergent for over a year now and I find it to save me tons of money. I actually use a different version because I am not ever pleased with using powdered detergent. My recipe is 1/3 bar Fels-Naptha ($1/bar! ), 1/2 cup Borax, 1/2 cup washing soda. Grate the bar of soap and mix on low on the stove with 6 cups of water. Once mixed, add Borax and washing soda until blended. Combine mixture with 1 quart of hot water in a 2+ gallon bucket (found mine at the dollar store with a handle). Once mixed well, fill the rest of the bucket with hot water. Use 1/2 cup each load. I love this recipe! It has taken out stains, mud, dirt, you name it! I used a soap that did the same thing as your soap did. After I grated it up, I used an old blender. It worked great mixing it all up. I read somewhere, you can put the soap in the freezer for awhile before you grate it. The Fels Naptha soap is hard and grates a lot easier than the softer soaps. I made the liquid version about 2 yrs ago. Love how you got your bucket free- I bought mine cheap at Lowes. I still have most of the ingredients to make a batch of the dry and may try it. I used Fels Naptha. I used my liquid till it was gone, but noticed how my washer got a lt brown dingy ring around the top of the wash bucket. I felt like the dirt came to the top and made that “ring around the collar” look as the water drained. I now started putting 1 cup of vinegar into my clothes on the 2nd rinse and it seems to help a lot. Right now, my older towels have a bad smell I can’t seem to get rid of. It went away temporarily when I had Gain detergent. I’ve gone back to using Tide and Purex since I’ve found them on sale plus q’s. I have soaked them pre washing and they still smell. Any advice on that?? Thanks ! We used the Duggar Family Recipe for liquid homemade laundry detergent. I LOVED IT! The Fels Naptha soap is a great stain remover (my mom used it as a stain remover when I was growing up) and we added some essentail oil to make it smell good. My hubby works in a recycling center and his clothes are disqusting. His work clothes have never come so clean and I noticed the washer isn’t dirty after I wash his clothes. (I used to have to bleach through the washer after washing his work clothes). 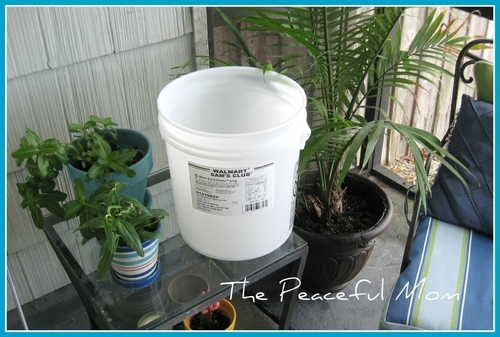 The recepie makes 5 gallons and since you mix it with water you essentially create 10 gallons! We figured it to equal about $0.01 per laundry load at a rate of 12 loads a week. With 2 kids and a hubby….we have LOTS of laundry! Jami, I also use the Duggar’s recipe, except I use a full cup of Borax, instead of just a half cup. So the way I make mine is 1 bar of Fels Naptha, 1 cup of washing soda, and 1 cup of Borax, all of this ends up making a 5 gallon bucket full. I then don’t dilute it past that point. The Duggars say use 5/8 a cup which is 5 ounces in a top loader. So what I did was to convert this into about half that since I’m not adding more water. 1/3 of a cup is 2.66666 ounces, so this is a little bit more than half of the 5 ounces. Works great for me and 1/3 a cup is a common measurement with measuring cup, 5/8 a cup is not. I did it this way for several reasons but I think the most important is that I don’t own a 5/8 of a cup measuring cup. Yes some of my cups have the ounces listed on them, but that was a pain to deal with trying to make sure I got it right. I own several sets of individual measuring cup and they all had a 1/3 cup, so I could put one out with the laundry and just use it to measure with. It was also easier for the kids to use in the event they were helping. I am still using bleach with my whites as I like my whites white and not gray looking. I’ve been reading about the Oxiclean with the whites and will probably switch to that once I run out of bleach. I mixed this laundry soap up still having several bottles of store bought detergent to use. I did it thinking there was no way it was going to work as good as my store bought detergent. Boy was I surprised and now I can hardly wait to finish off the store bought stuff so I can convert to just the homemade kind. I was wondering about this detergent and how it affects people with soap sensitivities. I would guess that it would be milder. I also have a new front loader and I couldn’t understand if the first recipe had too much build up? I have to tell you I don’t quite understand what “build up” you mean. I spend about 9 – 11 dollars for a the sensitive stuff now and that is about 96 loads. I love to make things and this would also be a good idea because I love knowing what is in my products. Just found your site, love it. As far as the detergent, so far my children with sensitive skin haven’t had a problem but we have only been using it for two weeks. I’ll be sure to post if we do have a problem. I did use the unscented soap so that might help. I think the other reader is talking about a film that can build up on the rubber gasket around the opening of the front loading washing machines. In the original recipe she used only a tablespoon per load. That may save you more money and make your detergent last longer which will equal more savings. Of course you may have a reason for using more? Thanks for pointing that out Samantha. I guess I was thinking about another recipe I had seen. I will try that. Eliminate the soap and the baking soda and oxi clean. 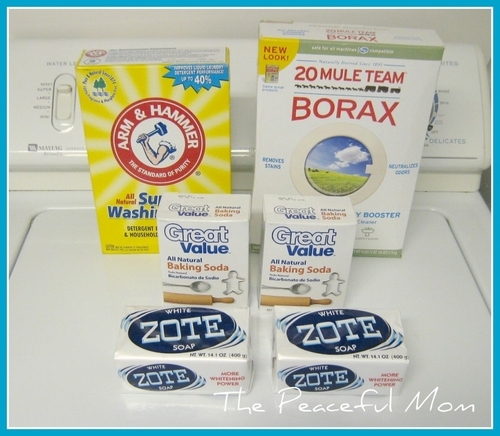 All you really need to get the clothes clean is the borax and washing soda (aka soda ash). Washing soda helps to soften the water, Borax to get them clean. 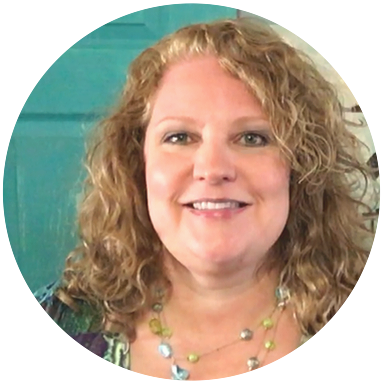 I do occasionally throw a half – full tsp of dawn in if my hubby’s clothes are greasy to get the grease out. This works wonders!!!! And don’t be afraid of varying your recipe to your liking. Again the main ingredients are the borax and washing soda. You can pretty much add whatever other things if you want – oxi clean for extra cleaning power, or grated soap for smell etc. I used Yardley Lavendar for awhile. Also, I started making my own fabric softener using a bottle of cheap conditioner (ie vo5, suave, etc.) 2-3 cups of vinegar and water to fill bottle. I fill a 50 oz downy bottle with that recipe. Fill up the downy cap and throw it in my downy ball. So far I do not have dingy whites and the only “extra” thing I do is use a bounce dryer bar for the scent. Not necessary but I like the way it makes my clothes smell. 🙂 Enjoy experimenting. PS You can also just use oxi clean (same amount) as you do the homemade recipe. Works just as well. Thanks Mandi. I don’t normally use fabric softener but while I was making the detergent I started wondering what adding vinegar to the clothes would do. So you can use just oxi clean to do the laundry? I started using a similar recipe recently – my husband and I are both sensitive to smells, and my son has sensitive skin, so the homemade detergent works great for all (the Fels-Naptha is a strong scented soap, but once the clothes have gone through the wash there’s no scent). 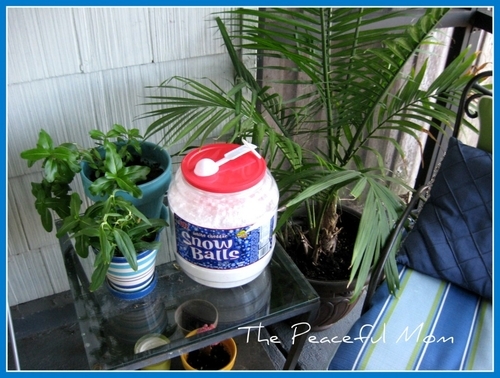 For a scent-free fabric softener I use a Downy ball, but use straight vinegar in it. There is no vinegar scent afterwards, no scent at all, actually! This is the recipe I used – it calls for only 2 tsp. of detergent per load which seems like less than other recipes, so would last longer/ be cheaper per load? Works so far for us – I also do an occasional “bleach load” for whites when they seem to be getting dingy, rather than using OxyClean every load. This mix fit perfectly in large yogurt container. I use a scoop that I saved from a can of baby formula. I think one scoop, approximately a talblespoon is more that enough unless we have a load of smelly towels which I will use two scoops. I am thrilled with the results. I feel like our clothes are cleaner and fresher. I have also noticed that we no longer have the bad smell that sometimes lingered from liquid detergent build up around the rubber seal inside the door. We used All free and clear previously. I hope you are as pleased as we are! I find that over time my whites get dingy with the homemade detergents. y recipe isn’t exactly like yours though. I use store bought on my whites and home made on everything else. I love my homemade detergent. My kids get really dirty doing barn chores and LOVE LOVE LOVE how well it cleans! Someone else mentioned the whites getting dingy. I wonder if the oxyclean helps with that. Hanging whites to dry in the sunlight, (called “sunning,”) works really well. I like my clothes to be fluffy & soft, so once they’re dry (& stain free), I toss them in the drier for a few moments. I can honestly say I have never seen a stain the sun can’t get rid of. I use powdered Biz in my recipe: 2 parts grated soap, 1 part Borax, 1 part Super Washing Soda, 1/2 part powdered Biz. My whites are white, clothes are clean. Also use vinegar in the Fabric Softener cup in my HE front loader. No problems. I use the liquid version lof Terri’s just 3 ingredients and water. My children get clothes dirty and I have had no different issues with their stains and homemade detergent then the other brands. For $7 I can get enough borax and washing soda for at least 4 batches , probably 6 . it’s just $1 per bar of soap. So for less than $20 with the liquid. I have enough laundry detergent for at least 4 years for my family of 5. When my daughter had the stomach flu at Christmas we used towels to catch her since she is so little, I did not spot them or even rinse then the night she was sick every 30 minutes for 7 hours and they came out clean and fresh. Sorry for such a graphic example but it proved to me I never need to buy premade again. Thanks Sarah. I will have to try it on a couple more loads. I haven’t washed towels yet. I make my own, but it’s liquid. I love it. I use Fels-Naptha, washing soda, and borax. I’ve never actually priced it out, but I’ve seen other recipes very close to mine and I’ve seen everywhere from 0.03 to 0.25 per load. I like that it works better. Unlike you, we do have dirty clothes, very dirty clothes. My husband doesn’t know how to stay clean. He doesn’t have a single clean hobby as well. So the results are more important than cost. I started making my own stain remover as well. I’ll never buy detergent again. I would also love to have this recipe! My husband does not think that a “powder” is powerful enough. The only major laundry issue I have is my 7yr is special needs so every food or drink, especially chocolate milk (about all she will drink), never comes out. I have tried all stain removers from the most expensive to the cheapest and nothing gets it out completely. For stains you can use equal parts hydrogen peroxide and baking soda, just mix and apply to the stain, if it’s a really tough stain you can leave on for a couple of hours. This works especially good on blood stains. I found that if I let the Zote sit in my basement for a couple of months, it dries out a bit and make it easier to grate. I use a ratio of 2 parts soap, 1 part borax and 1 part washing soda. I add oxy clean or bleach as needed when I do laundry. Since my husband has issues with many scents, this really helps us out. It’s hard to buy unscented soap for any real deal so this saves me a ton of money. For those who use the powder variety, does it dissolve well in cold water? Has anyone used a liquid soap (like Dr. Bronners) instead of bar soap? I just made my first batch at the end of January. 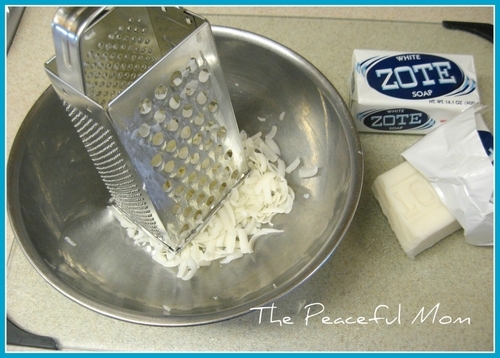 Use your food processor to grate the soap, it takes a lot less time and it SO easy! I used the oxy clean stuff I got at the dollar store to keep my coast down. So far I like it. I use 1 heaping teaspoon for our loads. I have a kitchenaide mixer and I use the grater attachment to grate my soap. I love making my own detergent. My recipe from http://tipnut.com/10-homemade-laundry-soap-detergent-recipes/ is the powdered version. It’s a little simpler and makes a smaller batch, but is much cheaper than the commercial varieties and I love that I control what is coming into my home and in my clothes. We’ve used the homemade version for over a year, I think our clothes are lasting longer! I use my food processor to “grate” the soap. Nice and fine – then I just wash the processor well. I’ll check out that recipe Terri. Thanks! So Terri, you use the recipe with 2 cups grated Fels Naptha, 1 cup washing soda and 1 cup borax? I may have to try that next time. The baking soda only added a dollar to the cost, but every penny counts, right? Hi Kimberlee! I just discovered your blog a couple of weeks ago and it’s probably the best, most practical and informative site I’ve ever come across. At first I used 1 bar of Fels Naptha per recipe. (One bar yields about 2 cups grated. It might be off a little bit, but it’s close enough for me.) Fels Naptha runs about 97 cents per bar at Walmart, but when I realized that I could buy a 10-pack of Ivory for less than $5, I switched. It’s a softer soap, so while it’s easier to grate, it also clogs up my grater more often (sorry). Just thought I’d add my experience in case it helps someone. Thanks so much for your encouragement Ryley! I will try the Fels Naptha if I do the DIY detergent again. I think the Zote was my problem. If you buy the soap ahead of time & unwrap it to let it dry out for a few weeks, it won’t clog the grater. I use the 2nd smallest wider side and then put that into a ziploc bag and use the rolling pin on it to make it even smaller; looks almost like powder! This last step reduced the volume by half. 2 bars of grated Zote was 10 cups – after rolling it with the rolling pin it measured 5 cups. Not sure how this affects the recipes but I would think that using a food processor would give the same powdery results? The recipe I’m trying is 1c borax, 1c washing soda, 1c baking soda one bar of soap. The suggested soaps were zote, fels naptha, or ivory. I used ivory for this first experimentation batch because, first, I had some on hand and second, you can put it in the microwave and it foams up then it is pretty easy to crumble! No grater needed. I don’t recommend trying that with any other soap. Ivory is special. It works as well as my usual detergent on my husbands nasty work jeans. Thanks for the tip LaRay. I definitely don’t recommend Zote. I use my grater on my food processor to grate my soap and then switch to the blade and chop it down even smaller…much easier! And my recipe is grated Ivory soap with equal parts Borax and Washing soda. I use only 1 T in my front loader. Thanks Ryanne. I don’t have a food processor, so I’m stuck with the difficult method for now. So exactly how much Borax and Washing soda with how much soap? I wondered if the price would make DIY laundry detergent prohibitive. With some couponing and sales, I can probably save more with buying the detergent rather than making it. I’m interested to hear how it cleans. Please update us on that! Laura, it seemed to clean the load that I did today very well. We don’t have super dirty clothes though. I think that couponing and sales could yield about the same savings, but it’s a good thing if you are used to buying Tide without a coupon. We use this, we love it! !